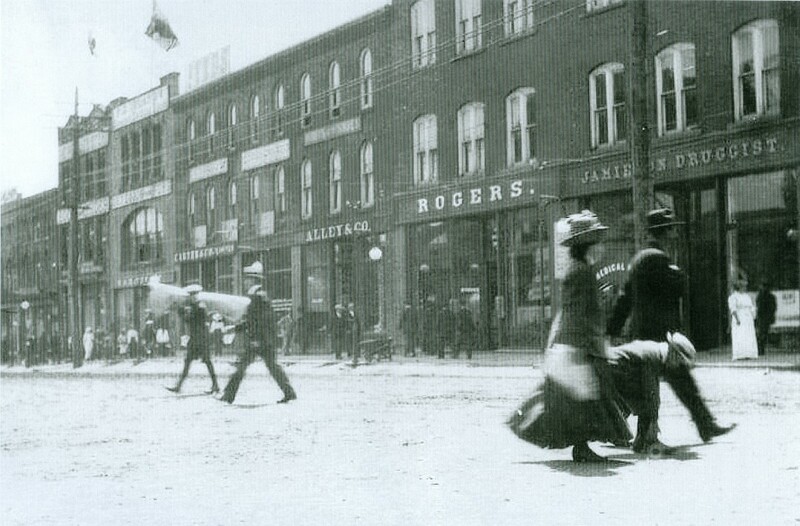 The west side of Queen Street, between Grafton and Richmond Streets, has been commercial in nature since before the City was incorporated in 1855. Prior to its development, it is rumoured that the area was less lively as the site of an early cemetery! Unfortunately, no one is around to confirm or deny the rumour. Like Grafton and Richmond Streets, this area bordered Queen Square, the political, judicial, social and ecclesiastical centre of town. Market days were twice a week and as a result, Queen Square became a very busy place. 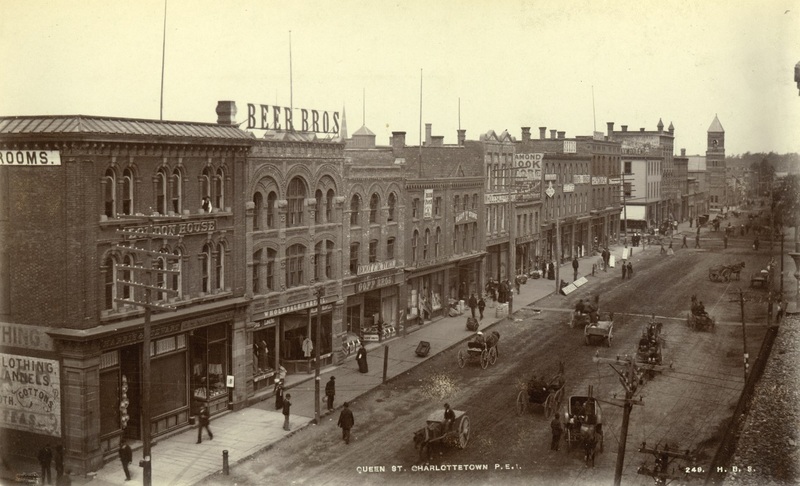 To meet the need for goods and services of the market-goers and locals alike, businesses opened here. All manner of business was carried out from this section of town. 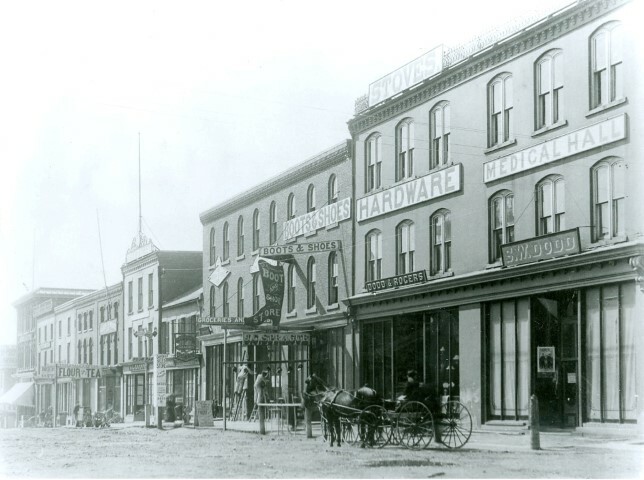 In the 19th century, a variety of dry goods stores, print shops, boot and shoe stores, hardware stores and drug stores were located along this stretch of Queen Street. Later, in the 20th century, some local businesses, such as Rogers Hardware (formerly Dodd & Rogers) and Moore and McLeod, as well as international chains, like the Metropolitan and Woolworth’s, set up shop. All of these stores became part of the culture. Many people over 35 remember having lunch at the 5 & 10, or waiting patiently for the automatic photo booth to develop that tiny strip of four black and white images. Almost anything could be found in the stores along this stretch of Queen Street. In this very location, one could purchase both a pound of nails and a Royal Doulton figurine. 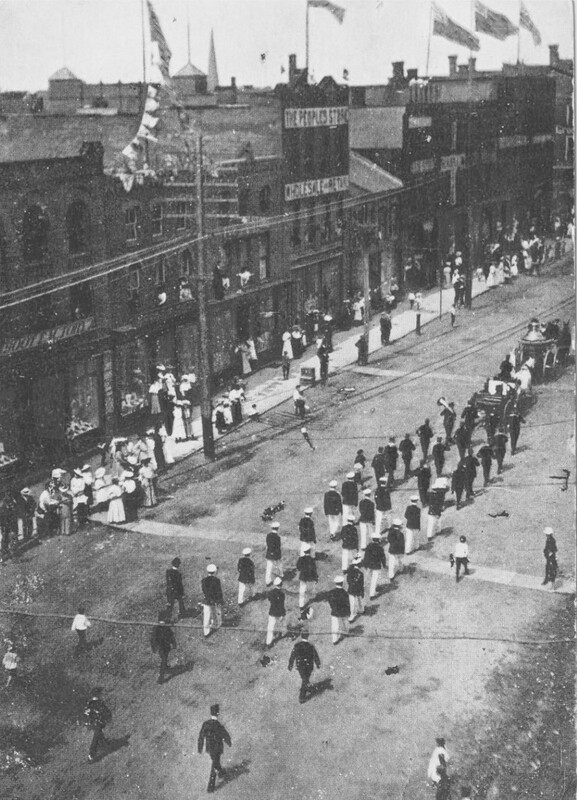 Throughout history, Queen Street was a well-worn parade route. Fraternal organizations, police, firefighters and the military have all been captured on film marching through this section of Queen Street. Since the early 1960s, the iconic Gold Cup and Saucer parade has wound its way through here as well. Many changes have taken place on this block, businesses have opened and closed, but it has remained commercial to this day.